"Surviving to Thriving: A Planning Framework for Leaders of Private Colleges & Universities"
"Surviving to Thriving" details a pathway that will enable higher education institutions to foster resilience and reinvention while maintaining the core commitment to educate citizens for the common good. In these turbulent times, this manuscript is engaging, organized, and filled with helpful insights. If college board members, presidents, and their senior leadership teams read this guide and implement the principles outlined in its pages, the next decade will be a period of positive growth and development for private higher education institutions. Through socio-economic, political, and ideological shifts in higher education, how can institutions persevere and best serve their students? "Surviving to Thriving" is a guide for independent college and university leaders wherein Authors Joanne Soliday and Rick Mann apply the nine elements of Credo’s Thriving Framework® through which institutional health can be both understood and improved. Navigating the higher education landscape today presents a multi-faceted challenge to leaders of independent colleges and universities. While some institutions close their doors, face declining retention, or struggle with a lack of direction, others work carefully and intentionally to hone their leadership team, plan for the future using targeted research and tools for accountability, and meet students where they are to provide them with the best tools for learning and success. Discussion questions for leadership teams and a collection of suggested readings from a broad spectrum of university and college leaders provide additional thought-provoking resources. 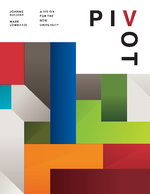 The companion Thriving Framework Diagnostic Tool allows leadership teams to evaluate their own institution's level of urgency across the elements of The Thriving Framework®, and serves as a powerful tool for cabinet and board consideration. This book will help private university leaders plan for the future, shape the story of their institution, and re-focus their efforts on the central constituency on any campus: students. The beauty of this book is that it never goes stale. I have revisited the text numerous times and come away challenged because it doesn’t just deliver “content,” it challenges and inspires my way of thinking. These are difficult times for private, independent colleges and universities, as they struggle to respond to the financial, demographic, and technological challenges before them. Not only must the presidents of these institutions exercise adroit leadership, but they also need wise counsel to survive and succeed. Among the countless volumes on higher education, Surviving to Thriving stands out as a source of such wisdom. If I were to return to a college presidency, it would serve as my strategic handbook and inspirational guide on the key institutional issues: the seasons of a presidency, the imperatives of vision, planning and collaboration, the necessity to tell the story of the college, and finally to be the keeper of hope. I recommend that if you are a college president, or contemplating that noble calling, don’t leave home without this book! This work will revolutionize the way we think, plan, and act in the world of private higher education. The authors take exhaustive research and years of engagement with universities and their leaders to illuminate what makes a private university thrive in this age of change and uncertainty. What is most telling is that it takes the old excuse of “we are unique” and strips it away to reveal a common framework of action that all private universities can and must follow. This book will be a must-read for faculty, administrators, board members, and alumni, as well as the parents of future students who desire the best return on their investment. “Surviving to Thriving” is long overdue and fills a critical need for those of us leading colleges and universities. Based upon her experiences with literally hundreds of institutions, Joanne Soliday, the quintessential champion and authority of small independent colleges and universities, has written the definitive book for presidents and their senior leadership. I highly recommend this book to anyone who wants a litmus test for what is or isn’t working for you as a president, for you as an administrator, and above all for you as a member of a board of trustees. This book works, and it will turn your school around. The presidency at a residential liberal arts college requires a "ministry of presence" – everywhere, always, and at all times. It can easily become overwhelming. "Surviving to Thriving" takes the many elements of this ministry and presents them in ways that are manageable and accessible – the trees are revealed in a way that the forest becomes manageable. This should be high-priority reading for every new president and a good refresher for experienced presidents eager to be renewed. “Surviving to Thriving" is a helpful, easy-to-read "recipe for success" for anyone who aspires to the role of college or university president. Joanne's years of experience in higher education are readily evident in this practical book for leaders in education. The role of CEO is fraught with pitfalls and potential rewards. Joanne has a way of helping the reader navigate through the confusion with a focus on success in a complicated profession. I only wish she had written the book two decades ago! 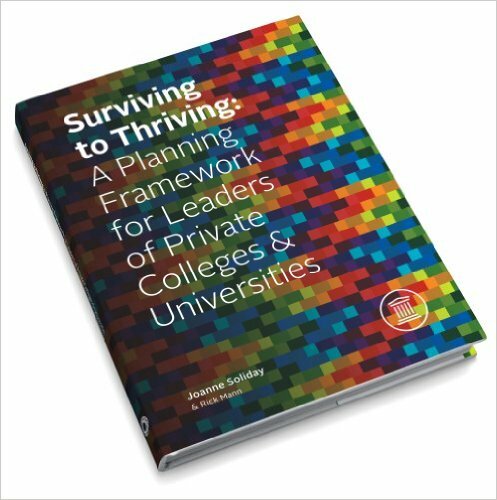 "Surviving to Thriving" is a tremendous resource for presidents, boards of trustees, and all leadership team members of small, private colleges. Joanne Soliday and Rick Mann capture the heart that is the life-changing nature of this education. They outline critical strategies to address the challenges small campuses face, and to strengthen and position a campus for long-term success. Joanne Soliday has built a tremendous wealth of knowledge about the optimal inner workings of colleges and universities, accumulated over years of experience with a wide range of higher education institutions. She has always been a “go-to” person for me. In “Surviving to Thriving,” just as Joanne has done in the past, she balances the realistic with the aspirational, the strategic with the tactical, the procedural with the substantive, the cultural with the functional, and the today with the tomorrow. Higher education has navigated a vast array of cycles and challenges over the last half century or so, but today we face issues of rapid change like no other: new learning modalities, the twin forces of technology and globalism, the fragility of enrollments and student retention, highly competitive demands in market niche and branding, critical issues of academic governance, and an unprecedented public demand to demonstrate our worth as institutions of higher education. Consequently, decision making is necessitated at a pace heretofore unknown within the academy. Little wonder that many colleges and universities are in a retrenchment or even survival mode. Joanne Soliday and Rick Mann, from their lifetime perspective as seasoned and respected educators, have offered us a most timely and invaluable template for thriving through the leadership of our private colleges and universities. Their nine drivers for success are highly relevant, thoughtfully presented, practical and accessible, and are an indispensable blueprint for leadership in our brave new world of higher education. Joanne Soliday and Rick Mann have produced a relevant and practical private higher education leadership book that is a “must read” for many audiences. “Surviving to Thriving” is a meaningful and adaptable framework that all students in higher education programs should read and discuss. This book is also a targeted road map for administrators working in both upper-level and mid-level management. The challenges for private higher education will continue to increase in the years to come. There will be some colleges and universities that will not survive. The authors of this book pour their knowledge and souls into helping all of us who love and want to protect the unique qualities of private higher education. They have provided a solid and well-tested planning framework that will guide administrators beyond just surviving. In "Surviving to Thriving," Joanne Soliday conveys with extraordinary passion her unshakable belief in the critical role small private colleges play in developing in students the qualities of mind and character needed for success in the 21st century. Joanne’s legacy in higher education will endure through the powerful framework outlined in this insightful book and through the careers of thousands of private college leaders who have had the privilege of working with her. Presidential search committees should make this book required reading to better understand the intellect, passion, drive, and collaborative spirit necessary for an engaged and forward thinking leader. Drawing upon an immense well of experience and success, Joanne provides a solid and grounded focus for the president willing to work hard and to make a difference. Such a president could well maintain clarity and sense of purpose by keeping her chapter titles visible daily and her book readily available for reference. Her warmth and professionalism provide challenge laced with reassurance, essential nourishment for presidents in the midst of their busy lives. Her productive impact on my own presidency began early and continues today! At a time when most small colleges are under siege on multiple fronts, Joanne Soliday brings an antidote to institutional anxiety in the form of a tried and true recipe for student and institutional success. Her passion for student achievement gives life to a vision and a strategy for taking struggling institutions to ones that flourish. There are few higher education leaders that have both her wisdom and her unfailing optimism. 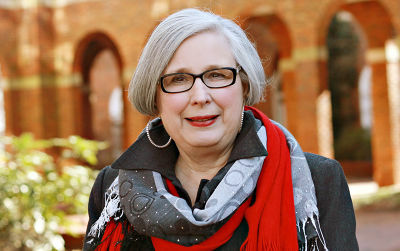 One of Credo’s Co-Founders, Joanne Soliday has spent more than 35 years working and consulting in private higher education, with more than two decades in leadership at Elon University and West Virginia Wesleyan University. Read Joanne's full bio here. 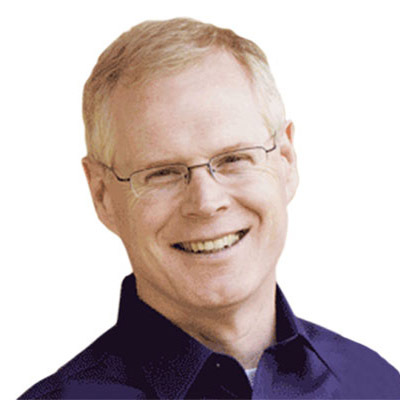 Rick Mann brings a rich background as a leader in higher education having served in both the U.S. and Asia as a faculty member, provost, and president including eight years as the president of Crown College (MN). CO-AUTHOR OF "Surviving To Thriving"
"PIVOT: A Vision for the New University"
Independent colleges and universities today face more challenges than ever. This book provides an essential framework for focusing mission and culture while transforming structure and approach. From classroom interaction to financial decision-making, Soliday and Lombardi offer creative advice for growing up into the 21st century. Soliday and Lombardi provide a compelling call to action for today’s college and university leaders. Your first pivot should be to read Pivot! What is so wonderful about this book is that while the focus is on private higher education, the vision represented transcends to most any mission-driven educational endeavor. As President and CEO of a national education foundation, it is clear in our work that a responsive evolution and adaptation to the changing needs of learners is paramount. This book outlines a path of success that is both pragmatic and impassioned, while embracing the core tenets of the purpose of higher education. 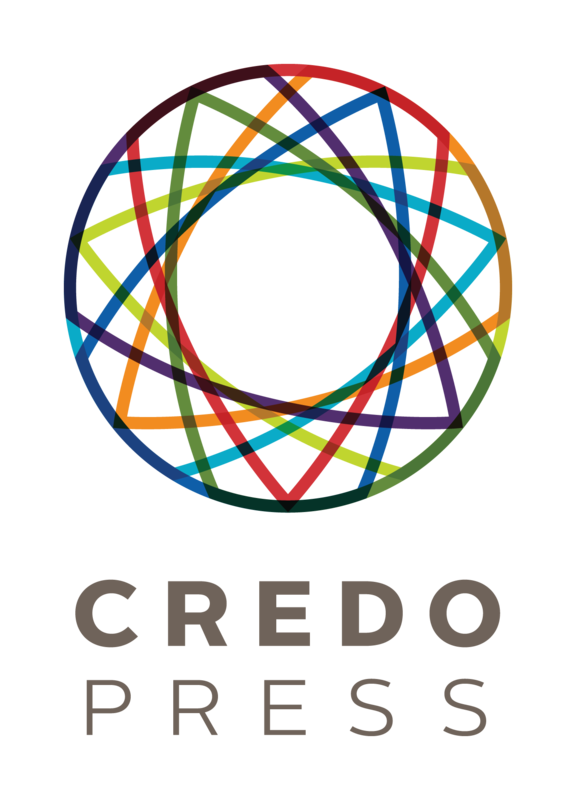 Credo Press launched in 2013 with the mission of catalyzing positive change in higher education through print and digital publishing. Credo Press’s inaugural book, “Surviving To Thriving: A Planning Framework For Leaders of Private Colleges and Universities” and groundbreaking second release, “Pivot: A Vision for the New University” are bedrocks for college, university, and consortia leaders and changemakers in their quest to prepare and adapt for the future of higher education. For more information about Credo Press, please contact info@credohighered.com.